Various Plaquettes at Panjiayuan North Gate "showing off" the various qualities and resplendid knowledge available in the house. 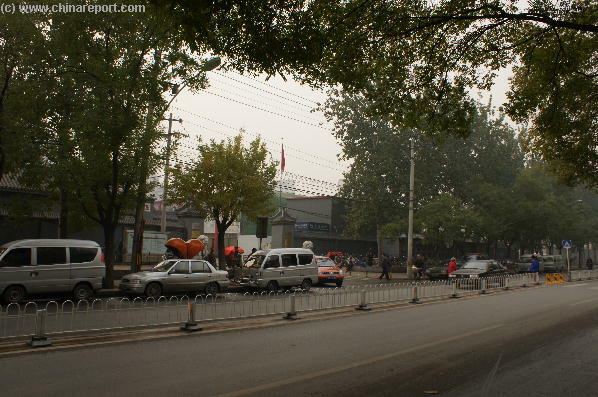 Welcome to China Report's Digital Impression of the PanJiaYuan Flea Market of the Chaoyang District of Beijing. Situated well outside the former city walls in the south-west of Beijing City Panjiayuan is a formerly off the beaten path destination and popular browsing place for Beijing citizens as well as foreign visitors to the city. Today having grown with the economic boom of the city and nation itself, Panjiayuan is the largest and most well-organized public market in Beijing and for anyone looking for a browse at a Chinese flea market, a splendid destination to choose. The great attraction of Panjiayuan Market is the abundance of things to see, gawk at and perhaps buy. Find one of the most popular tourist markets, the former thieves market at HongQiao (Red Bridge) just outside the East Gate of the Temple of Heaven and Park. Its still worth a visit for anyone looking for cheap silks, a new outfit, electronic equipment or of course its famous Pearls. A view down Panjiayuan Road on an ordinary weekday. One would not know a large market was ongoing except for the occasional foreigner being dropped off by Cab. Panjiayuan Road and its market are wedged between several large public housing blocks and there are plenty of trees to provide a comfortable shade in the hot summer. 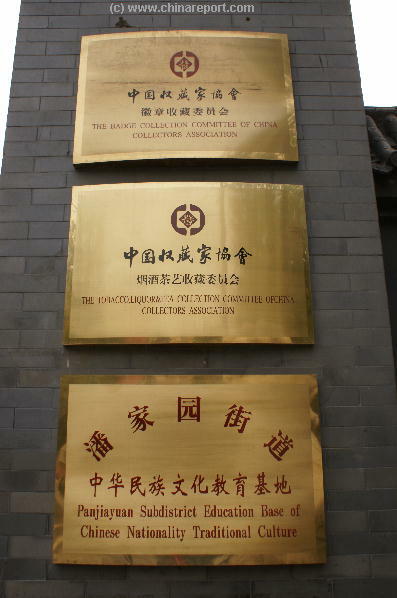 antique jade objects, Chinese Ceramics, rare book collections and the like. Whatever ones heart may desire, if it is Chinese, Panjiayuan Market may deliver. It is said that the current market offers products from all 24 provinces and every region of China. Now, that is something one must not miss out on. In short, there is a lot on offer and there is plenty to discover and see at Panjiayuan, which is THE biggest market in Beijing. So, if you have the time, or perhaps feel for a break from the many museums and ancient building, immerse yourselves in the masses and come to Panjiayuan to see if you can find your perfect souvenir. 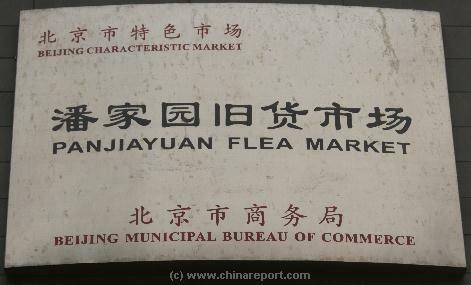 Google Map: Panjiayuan Flea Market in Chaoyang District of Beijing. Market. Once at Panjiayuan Road one may perhaps be surprised to find there are no large flocks of people, no colorful crowds, nor the noises one might associate with a popular flea market. On the contrary, Panjiayuan Road appears to be just another wide lane, rather peacefully situated between residential highrises and, on an ordinary day, nothing much seems to hint at Beijing's supposedly busiest and biggest smallware market. Nevermind, just head down the road for a short bit to find the entrance to this magical realm, which - how could it be different in China - sits behind its very own greay walls, which hide it away from the public eye. Marked by two white marble lions and a collection of official plaques of recognition from the city Government. You have arrived. The Entrance Gate to Panjiayuan Market can be found a about a 100 meters down the road, and the whole market is housed inside its very own walled enclosure. Once in view of it, the location of the main gate suddenly becomes clear. (Photo: November 2007). Stay in Chaoyang District for your shopping spree and head back up the line to shop at Beijing's Famous and now overpriced Silk Alley. Simply connect to Yong'An Li via Guomao and walk into the Mall Building to find some special silks you had not seen elsewhere. The chaos and busstle found at times at Panjiayuan Market is well concealed by it walled enclosure. Even the main gate is nothing special except for its two white marble lions and alert guards. On saturdays and during the holidays turmoil is far greater (Photo: November 2007). As mentioned, Panjiayuan is not situated in any of the usual tourist zones of the Inner City but is located well away from city center in a residential zone in the extreme south of Chaoyang District. As a result, until recently there were but limited options for combining a visit to its lively market with a browse of other markets, landmarks or entertainment in the vicinity. Things have improved but slightly with the recent subway connection down to Jinsong Bridge. Your best bet to continue shopping lies up in the North at Yong'An Li and Guomao, where most of the Malls and exclusive Shops of the Chaoyang District can be found, including the tourist magnet of Xiushui Street a.k.a. "Silk Alley" and the nearby spectacular "The Place" until recently featuring the largest LED screen in the world. Others who have spent their cash, or otherwise their energy while reviewing Panjiayuan Market and who would like to continue a day with some quality downtime can be served by having a walk down to Longtan Park where one can enjoy the waters, majestic scenery and classical architecture of the Pavilions. On closer inspection there is a multitude of plaques fixed adjacent the gate, all proclaiming the qualities of the various crafts found and sold inside. 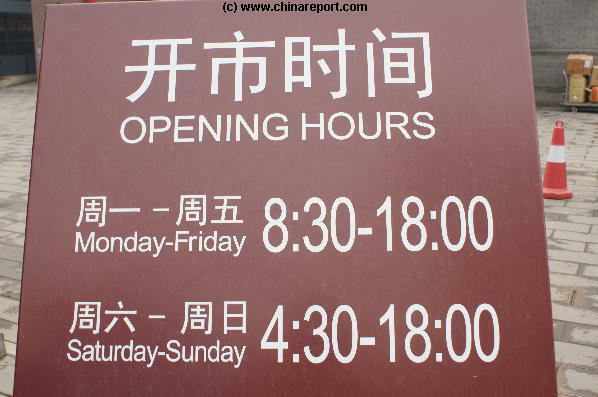 Opening Hours are: All Day, especially on the weekends when rural citizens come from afar to sell their collections. 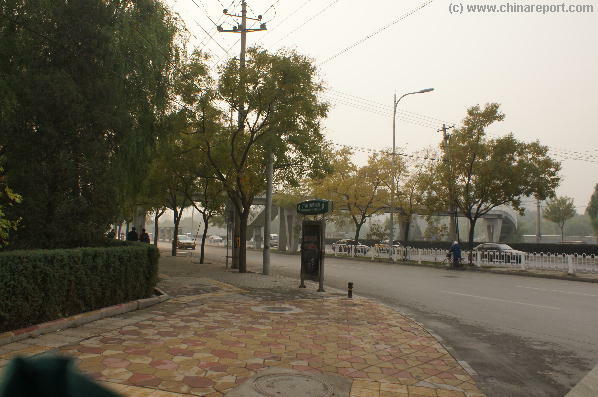 Turning from Panjiayuan Road into Huaiwei Road one cannot overlook the pedestrian walkway providing acess to Longtan Park and the Chongwen District on the other side of the 2nd Ring Road (Photo: November 2007). surrounded the entire city. Once a busy thoroughfare of ships supplying the city with grain and other needed goods, most of the space of the moat has since been taken by the 2nd ring road which today is usually clogged with the overabundant traffic the city has been subjected to. Enjoy the greenery of Longtan Park from the bridge and see the skyline hidden behind a thick blanket of notorious Beijing Smog. On the other side of the bridge lies a small elite housing estate and the eastern entrance into Longtan Park. Although not much known and often not of the interest of those who want to enjoy the whirl of the people and the market of Panjiayuan, the history of Panjiayuan Market, albeit brief, is an interesting story in itself. Today's Panjiayuan Market is THE largest bazaar in Beijing and at peak times during the weekend it can be a confusing place. Luckily, when it was reorganized to welcome the crowds of the 2008 Olympics, the market was neatly divided into sections for your convenience. Find out where to find what and get a general idea of the arrangements at Panjiayuan. 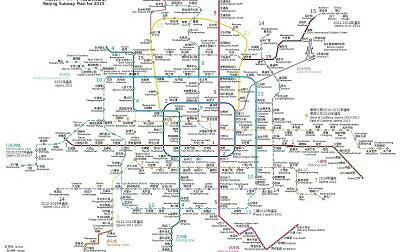 Focussed on the Palace Museum (Forbidden City) as its central point, this schematic Map of the Central Beijing Districts within the Third Ring Road. Map depicts location of main landmarks, historic monuments, museums, homes of famous old celebreties, shopping malls, hotels and other sites of interterest to visiting tourists and travelers. 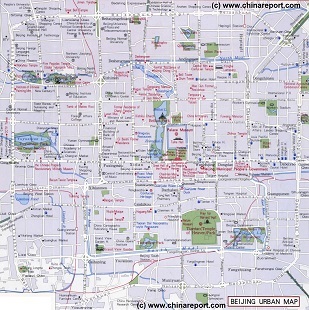 All of Beijing's Central Districts between Olympic Park in the North,the Chaoyang Agricultural Exhibition Center in the east, Panjiayuan Antiques Market in the south east and the remote Marco Polo Bridge in the South West. 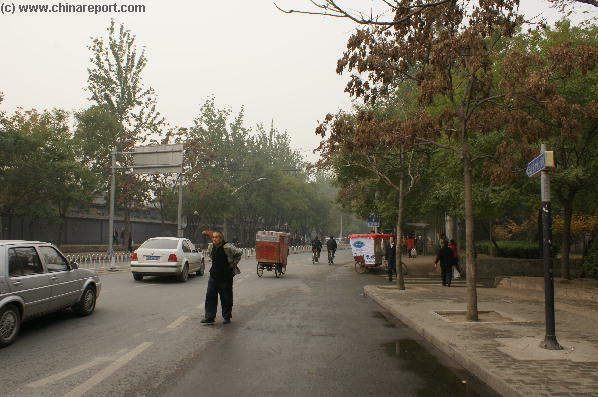 Panjiayuan is not situated in any of the usual tourist zones of the Inner City but can be found in the south-west corner of Chaoyang District where it is wedged between the 2nd ring road and the 3rd ring road. In origin a roadside market that sprang up in the outer suburbs conveniently near the 2nd ring road it is not situated in a glamorous neighborhood or finds itself surrounded by supreme examples of modern architecture worth diverting ones route for. Panjiayuan was and is a market for the people and its original success was mostly due to its strategic location, one found especially due to its lack of Police and city authority oversight. Hence, it may well be said that basically, Panjiayuan - although since developed considerably is nothing but an out of the eye roadside spot. The fact of the matter even today is that Panjiayuan Road itself is an east to west road which does little more than convey traffic between both 2nd and 3rd ring roads which it connects. Other than these general directions, there are few remarkable local features or obvious landmarks to go and navigate by. Anyone heading to the area might do well to bring a map along in order to keep on track in moments of sudden insecurity and a feeling of getting lost. Generally speaking the area surrounding the market is non interesting to most tourist as it consists mainly of residential apartment flats with few wortwhile attractions in between. Depending on your location of origin, catch one of Buses No. 28, 34, 368, 638, 674, 802 to connect to Panjiayuan. 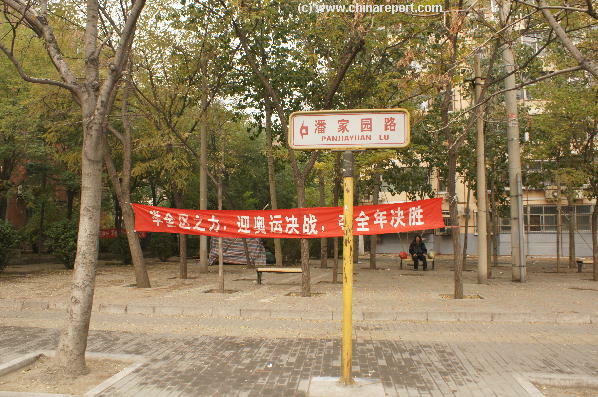 It is a common stop and no doubt your bus driver will understand where you want to go if you step up in an attempt to communicate and utter the words Panjiayuan (or hold up a paper with the words 潘家园旧货市场. (For an Impression of Guomao, please refer to:"Yintai Center", which stand west adjacent the subway station and Bus Station of Guomao).